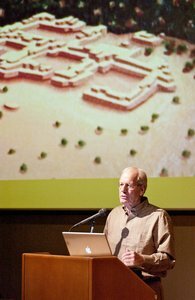 Douglas W. Schwartz, a towering figure in the history of SAR and American archaeology, died on June 29 in Santa Fe. He was one month shy of his eighty-seventh birthday. Doug Schwartz served as president of the School for Advanced Research (formerly the School of American Research) between 1967 and 2001. Although SAR had existed for six decades prior to his appointment as the institution’s leader, it had undergone a long period of drift. 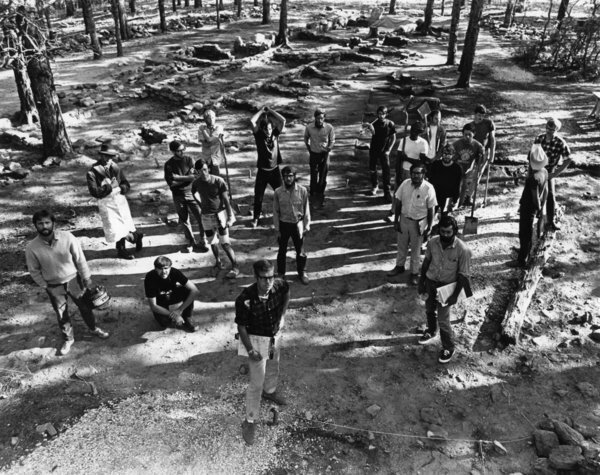 Doug is credited with transforming SAR from a venerable but unfocused institution into one of the nation’s most important research centers in anthropology, archaeology, and Native American arts and cultures. Under his charismatic leadership, SAR relocated from the Palace of the Governors to its present campus on Garcia Street, an estate formerly belonging to Martha and Amelia Elizabeth White. His fundraising efforts led to the construction or expansion of numerous campus buildings, including the Indian Arts Research Center, SAR’s Reception Center, the Douglas W. Schwartz Seminar House, and the Dubin Artist Studio, as well as the development of SAR Press. It would be impossible to exaggerate his central role in SAR’s 110-year history. Doug Schwartz received his BA from the University of Kentucky in 1950 and a PhD in anthropology from Yale University in 1955. He was hired by the University of Kentucky, where he rose through the ranks to become professor of anthropology and director of the university’s Museum of Anthropology prior to his appointment at SAR. His principal archaeological research was focused on the Grand Canyon, where over a period of twenty years he undertook a pioneering survey and the first major excavations in the canyon and on the North Rim. After moving to Santa Fe, he launched a major excavation of Arroyo Hondo Pueblo, a thousand-room fourteenth-century settlement located only five miles from the Santa Fe plaza, a project that resulted in nine monographs published under Schwartz’s editorship. Doug’s research and leadership of SAR were honored by multiple academic and civic organizations. He was awarded honorary doctorates from the University of New Mexico and the University of Kentucky, the Franz Boas Award for Exemplary Service to Anthropology by the American Anthropological Association, and designation as a Luminary by the New Mexico Community Foundation. 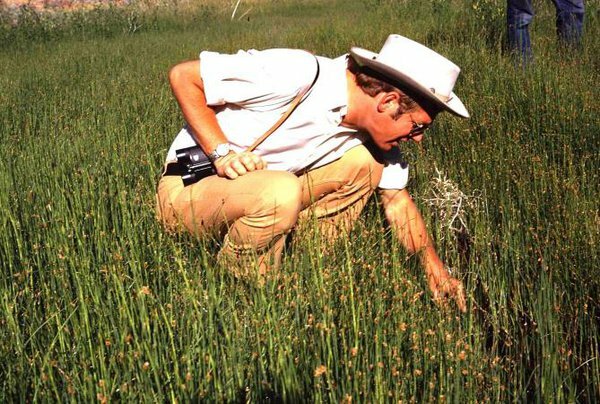 His service positions include the presidency of the Society for American Archaeology, and service on the boards of the Jane Goodall African Wildlife Research Institute, the Witter Bynner Foundation for Poetry, Santa Fe Preparatory School, and the First National Bank of Santa Fe, among others. Between 2001 and 2016 he held the position of senior scholar at SAR, during which time he pursued his longtime interest in the career of Charles Darwin and developed a website for The Arroyo Hondo Pueblo Project that was launched in 2016 to considerable acclaim. Aside from these prodigious accomplishments, Doug will be remembered by family and friends for his personal warmth, his high standards and strategic thinking ability, and his love of performing magic tricks. Books, monographs, articles, chapters and forewords separated by topic below on: Kentucky archaeology; Grand Canyon archaeology; Northern Rio Grand archaeology; North American prehistory; social consequences of human migration; the history and sociology of American archaeology; the history of Chinese poetry; and forewords to over 40 volumes of scholarship in the School of American Research Advanced Seminar series. American, July, Vol. 203, No. 1, pp. 130-140. Stone Granve Cemetary in Lyon County, Kentucky. Studies in Anthropology, No. I, Univeristy of Kentucky. of the Kentucky Academy of Science, 23(1-2):1-13. National Park Service (Mimeographed Report, 10pp.). 1964, Prehistoric Man in Mammoth Cave. Archaeology. University of Kentucky Press, Lexington. Louisiana Archaeological Society, No. 18. University Press of Kentucky. Lexington, Kentucky. ed. by John McGregor, University of Illinois Press, Urbana. Department of Anthropology, Yale University, New Haven Connecticut. Viking Fund Publications in Anthropology, New York. Culture History,” Plateau 28:77- 85. Museum of Northern Arizona, Flagstaff. 1957b, “A Cohonino Cremation” Plateau, 29:3:63-65. (with Milton Wetherill). Museum of Northern Arizona. Flagstaff, Arizona. the Havasupai,” American Anthropologist, 61:6:1060-70.
of the Grand Canyon National Park” Plateau 32:3:61-67. Grand Canyon National Park,” American Antiquity, 28:3:289-302.
of the Upper Grand Canyon,” American Antiquity, 30:3:278-96. Park Museum Collections, Grand Canyon, Arizona. Canyon Archaeology,” American Antiquity, 31:469-84. Expedition, 1969. Four Corners Geological Society, Durango, Colorado. Books, Evergreen Colorado. pp. 70-75. Pueblo Societies. William Longacre, ed. University of New Mexico Press, Albuquerque. National Geographic Society Research Reports (1969 Projects) Washington, D.C.
Archaeological Series, Vol. I, School of American Research. Santa Fe. Archaeological Series, Vol. 2. School of American Research, Santa Fe. Grand Archaeological Series, Vol. 2. School of American Research, Santa Fe. Institution, U.S. Government Printing Office, Washington D.C.
Human Past, School of American Research, SAR Press, Santa Fe. Grand Canyon Association. Grand Canyon, Arizona. American Research, Santa Fe, New Mexico. Second Field Report 1971”. School of American Research, Santa Fe, New Mexico. Volumes 1 – 9, School of American Research Press. Santa Fe. Pueblo Perspective.” Geoscience and Man. Vol. XXII. History of the Sciences. Warsaw. and Ethnological Sciences. Tokyo, Japan. American Archaeology,” in Clues to America’s Past. National Geographic Society. Washington, D.C.
Human Experience. ed. by Ben Finney and Eric Jones. University of California Press. Berkeley. New edition of 1924 original. Yale University Press. Other Worlds: China. SAR Press, Santa Fe. Natural History Publication for Educators.